Get 18+ WordPress themes for only $149 per year! 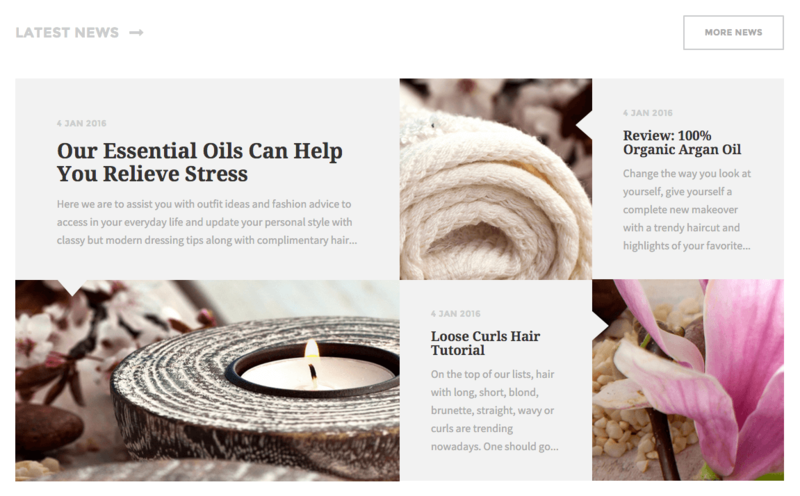 Introducing Beauty, a premium WordPress theme, available only on ThemeForest. With its light and clean design it is a smart choice for beauty salons, hair salons, wellness centers and similar businesses. Beauty has everything you need to take your company to the next level, but most of all it is extremely easy to set up and use. 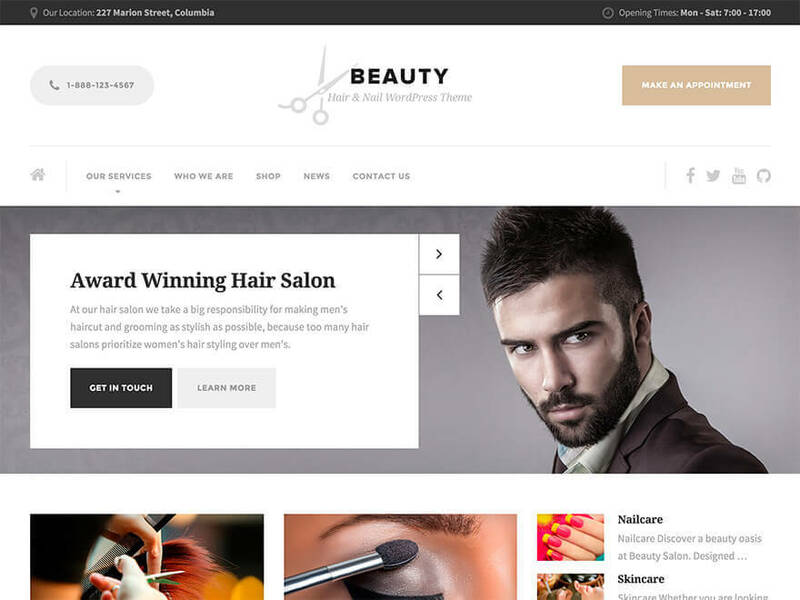 Introducing Beauty, a premium WordPress theme, available only on ThemeForest. With its light and clean design it's a smart choice for beauty salons, hair salons, wellness centers and similar businesses. Beauty has everything you need to take your company to the next level, but most of all it's extremely easy to set up and use: your new website we'll be ready in no time! Scroll down to read more about Beauty and discover all its great features. I assume you already have a fresh copy of WordPress installed on your server. The first thing you will need to do is to download the theme installation zip file. If you bought the theme on ThemeForest, then you have to download the installable WordPress files only zip file from the ThemeForest download section. When you are logged in your WordPress dashboard go to Appearance » Themes » Add New » Upload Theme and select the theme installation zip file you downloaded from our Shop or from the ThemeForest and click Install Now button. Unzip the contents of the theme installation zip file and upload the extracted folder to your server to wp-uploads/themes/ folder using a FTP client. Congratulations! Now the Beauty WP Theme is installed. You still need to install/activate the required and recommended plugins - you can do this by visiting Appearance » Install Plugins inside wp-admin. You can register the theme and receive automatic updates. Go to Appearance » Theme Registration and follow the instructions on that page. This will register your copy of the theme and you will get update notifications in the admin dashboard, whenever an update is available. If you have any issues with the automatic updates, please go to you wp-admin to Dashboard » Updates and click on the Check Again button, to refresh the update data. You can also update the theme manually: here are the steps on how to do that. You can import demo content from our demo site (with blurred licensed images) with a single click of a button. Go to Appearance » Import Demo Data and click on the import button. Don't forget to activate all required plugins before importing demo data. When setting up a content with your new theme, put special focus on the page speed optimization, especially on the image optimization process. This way you can save on your bandwidth, reduce the bounce rate on your website, and make your users happy. Our themes are created with the speed in mind but large, non-optimized images can and will ruin this experience. If you want to import the demo content the old-fashioned way, you can get a fresh copy of the XML file on our server at this URL: http://artifacts.proteusthemes.com/xml-exports/beauty-latest.xml. Don't forget to activate all required plugins before importing demo data. To import the demo data go to Tools » Import, click on WordPress (install the WordPress Importer plugin if not already installed) and upload/import the previously saved xml file (don't forget to enable the Download and import file attachments checkbox to also import the images). After you import the demo content, you can also import widgets the old-fashioned way. The file for widget import is also located on our server: http://artifacts.proteusthemes.com/json-widgets/beauty.json. Rename this file to beauty.wie (mind the file extension) and use it in the plugin Widget Importer & Exporter. Go to Tools » Widget Import/Export and import the file. optionally set other things (like logo, colors, ...). These settings can be found in Appearance » Customize. If for some reason these URLs are not available, then all you need to do is download the All files & documentation zip from ThemeForest and you will find the content.xml and widgets.json file in the extras folder. On both the left and right side of top there are widget areas. You can put next widgets on Top Left or Top Right widget area: Icon Box, Social Icons, Custom Menu or Text widget. With widget Icon Box you can put any kind of title with small text and image in the header. In our demo we use this widget for contact information which we think is very important for customers. In this widget you can choose Title, Text and Icon from Font Awesome. You can also choose a link for the whole box. If you leave that field empty the Icon Box will not be click-able. We give you few Icons to choose from but you can actually use any icon from 519 Font Awesome icons. Just paste the icon title in the Icon field and that's it. How cool is that? More than one Icon Box widget can be used in the Header. The logo can be changed in our Theme Options - Appearance » Customize » Theme Options » Logo. There are left and right header widget areas. Both areas can work with Buttons (Text widget), Icon Box, Social Icons, Skype Button or Search widget. Main Menu can be set in wp-admin » Appearance » Menus. Theme locations for Main Menu is called Main Menu. Area next to the main menu which can be used for Social Icons or other smaller widgets. 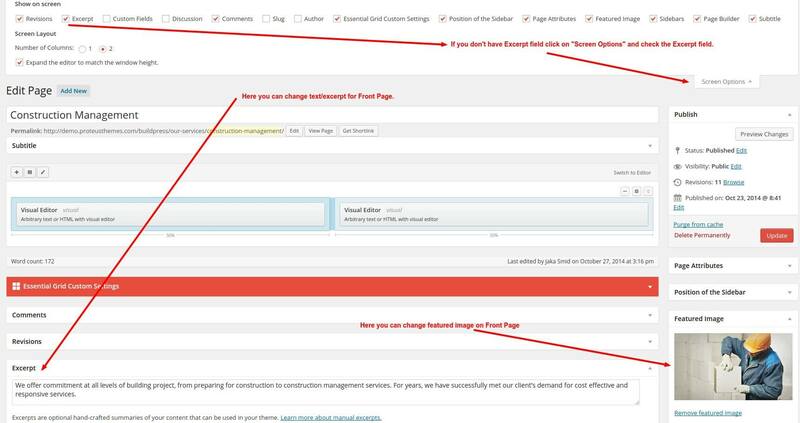 wp-admin » Pages is the area where you will spend most of your time when building a site. We added a few tools in that process so you can create your pages easier and faster. You can choose between 3 different Templates - Default Template, Front Page with Slider and Front Page With Layer/Revolution Slider. Default Template: Just a default template for simple layouts and Page Builder. First you must choose the Page Builder option under the title and you are ready to go. You can add our widgets here, choose different visual styles and much more. More about that in the next chapter. Front Page with Slider: This is a unique template which adds an option for a slider in the page options. It can be used with Page Builder. More about that in the Slider chapter. Front Page with Layer/Revolution Slider: We don't include these two slider plugins with the theme but we make sure they work nicely, since we know our customers want to use them. When you activate this template there is a new Page Slider meta box in which you can put ID/alias from Layer/Revolution Slider. You can make any kind of grid with adding new rows and inside them you put widgets. When you are finished with adding widgets you can also move whole rows up and down. For more information on how to use Page Builder please visit Page Builder by SiteOrigin documentation page. You should also watch this great short video course: Page Builder Tips. Let's take a look at how we can style Page Builder rows. To start off we have to click on "Edit Row" for the row that we want to style as shown on the image above. An "Edit Row" window will open, and on the right, there are three setting tabs: Attributes, Layout and Design. Here you can customize different things for this particular row. In the Layout tab you can set the Bottom Margin, Padding and change the Row Layout to Full Width. In the Design tab you can set the Background Color, Background Image and other things. To achieve the same design for the testimonial widget as on our demo page you have to click on Layout tab and set the Bottom Margin to 60px, Padding to 60px and the Row Layout to Full Width. Then click on the Design tab and set the Background Color to #f2f2f2. In this theme we added 1 new widget style. You can now set a nice box around the widget. This option can be choosed for all widgets in the page builder under the tab Design. You can use almost any widget in the Page Builder. Let's take a look at few not so straight forward ones. SiteOrigin Editor will create you the same editor environment as a normal WordPress editor does. You can use this widget if you want normal text editing options. SiteOrigin Editor Widget is part of Site Origin Widgets Bundle. How do I add a button? With our custom shortcodes. You can find instructions in the Buttons section. 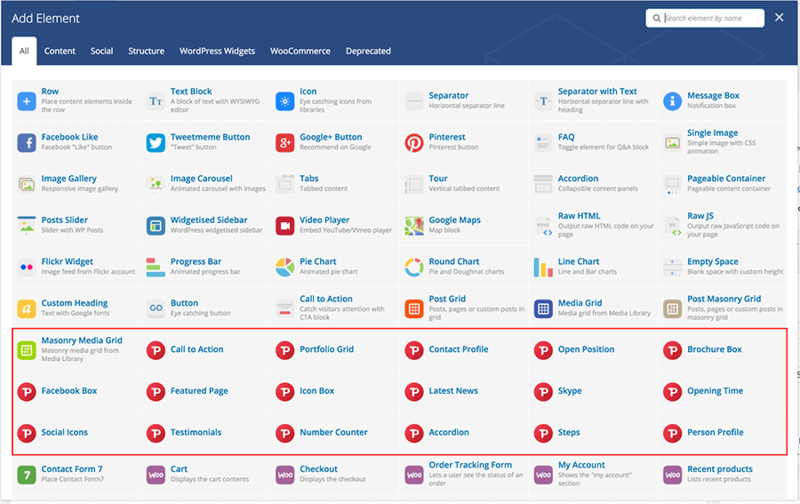 Featured Page is a really simple widget that we use in Page Builder. All you have to do is to select the page and one of the two layouts we made for you. But how do I change the image and text on the Front Page? The image on the Front Page is just the normal Featured Image of the selected page. You can change that in the sidebar of every single page. Text can be changed in the Excerpt field which can be found at the end of the page settings. If the excerpt field is not there, you must click on the Screen Option (at the top of the page) and check Excerpt. For more info please take a look at the screenshot below. Post tiles is our new widget made specifically for Beauty theme. It will show your posts in gorgeous grid with date, title, excerpt and image. 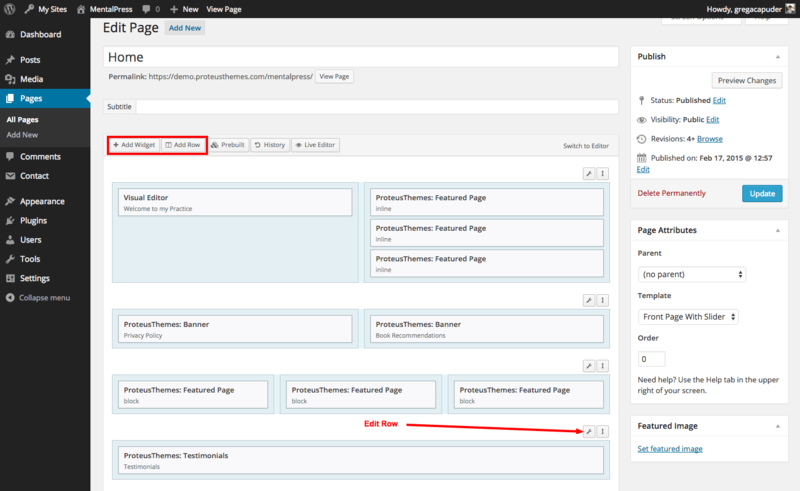 In the backend you will find 6 different predefined layouts which you can choose. You can also stack one or more Post Tiles widgets one under another. This is why setting for "Start with post number" will come in handy. Open Position is the perfect widget for listing your Jobs. This widget is very easy to use, with clear fields. If you want to use the collapse option with the widget you will need to insert Read More tag as seen below. This tag will hide everything beneath it and will add a collapsible Read More link. This widget can be included everywhere - in page builder and in a normal sidebar. For that widget we use a normal WordPress Text Widget. 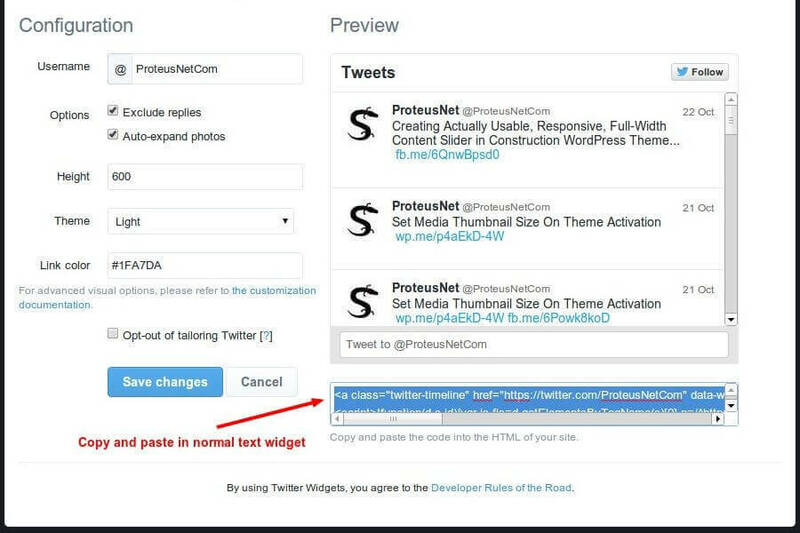 First, go on https://twitter.com/settings/widgets and click Create new. 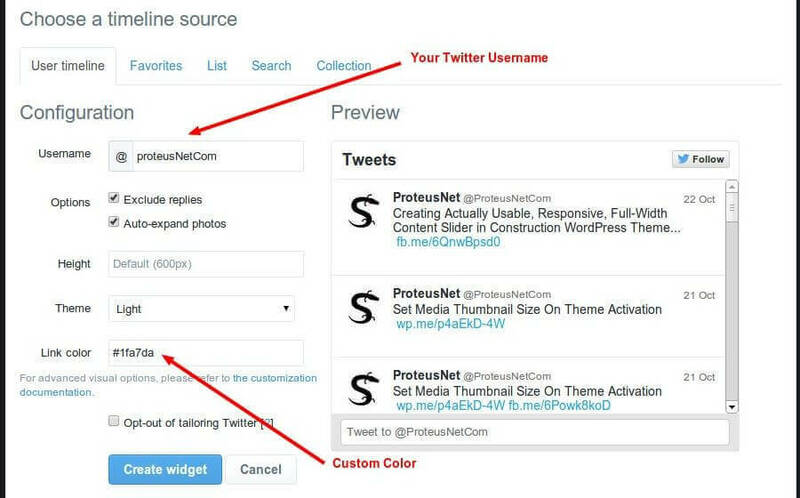 Now choose your Username, height of the widget, Theme and Link color. When you are happy with your widget click on Create widget button. You will get the code which you copy and paste in the Text Widget in your WordPress site. Building a Theme slider has never been easier. Please take a look at this slider dimensions article for the recommended size of the slider images for this theme. You can also use Layer/Revolution Slider. We don't include them with the theme but we make sure they work. When you activate page template - Front Page With Layer/Revolution Slider there is new field in which you can put id/alias from Layer/Revolution Slider. You can find all Theme Options in the Customizer: Appearance » Customize. This is a live preview editor for your page. There are 7 options with different attributes - style, href, target, fa, corners, fullwidth and class. Text: You can change the text of the button. Style: You can choose between a few styles - primary, secondary, danger, success, info or default. Href: You can add URL to the button. Target: You can choose if you want to open the link in the same - "_self" or new - "_blank" window. Font Awesome icon: You can add a font awesome icon to the button. Cornes: You can change the corners of your button to be rounded. Full width: You can stretch your button to full width. Class: You can add extra custom classes to the button. There are 3 options with different attributes - icon, href, target and color. Icon: You can use any 519 FontAwesome icon. To set the selected icon, just get the title of the icon, for example "fa-phone". Href: You can add URL to the icon. Color: You can set a custom color to your icon. Special types of gallery were added to Beauty in version v1.2.0. It is using the default WP gallery functionality, but we've implemented two special styles for the Beauty theme - you want your gallery to look beautiful after all, right? The gallery is easy to add. There are two ways. First way is to insert the [gallery] shortcode directly. You can find detailed instructions on official shortcode documentation. The only thing you should additionally add is the type attribute. You can set it to two values: beauty-gallery or beauty-gallery-bigger, like so: [gallery ids="123,337,341,452,652" type="beauty-gallery-bigger"]. Beauty Gallery - tiled gallery, all images are of the same width/height. Beauty Gallery (bigger first picture) - same as above, but the first picture in the gallery will be double in size. 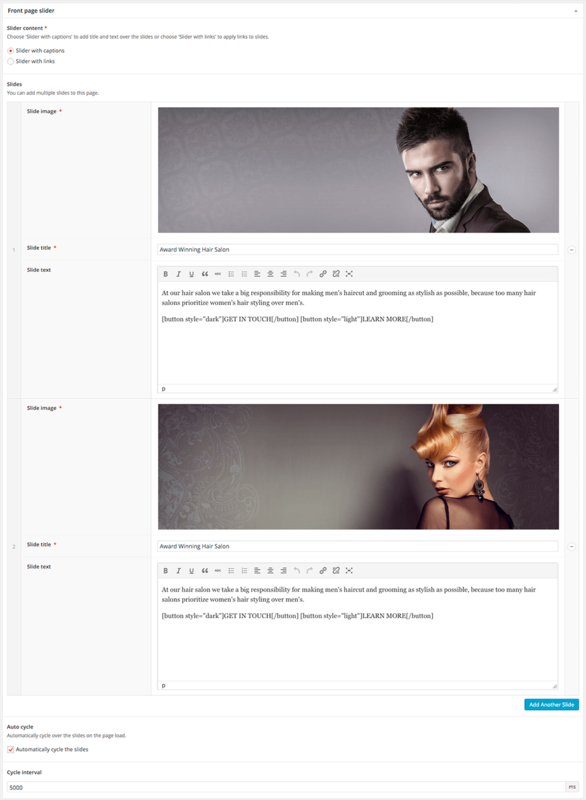 The gallery works nicely with our recommended plugin called WP Featherlight. Bear in mind that the gallery style might clash with other plugins that alter the gallery type, like Jetpack Tiled Galleries. We also use and support some of the best plugins for WordPress. You can install and activate these plugins by going to wp-admin » Appearance » Install Plugins. After that just place the plugin's shortcode into your Contact Us page. This theme supports basic WooCommerce integration. 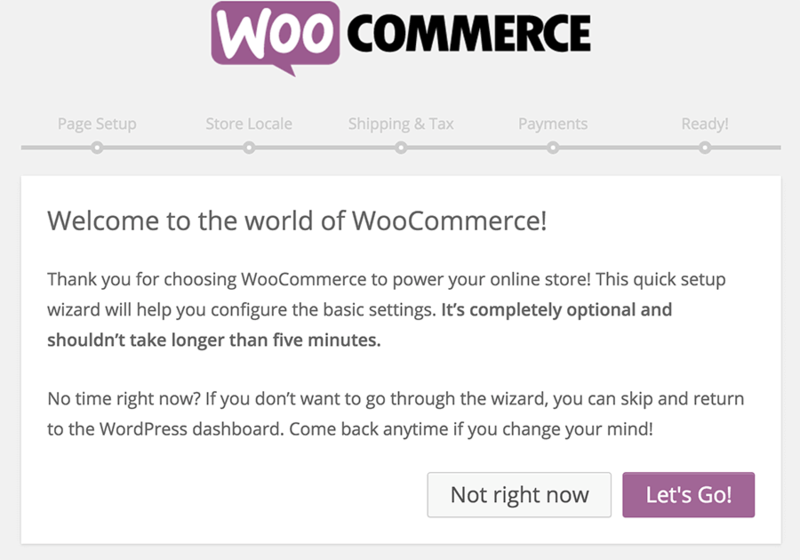 Click on Run the Setup Wizard button to begin the WooCommerce install. That will start the setup wizard, where you can set things like shop pages, store locale, shipping & tax and payments. If you want to change some settings, you can change them in WooCommerce » Settings. There are many tabs at the top, you can configure to fit your needs. 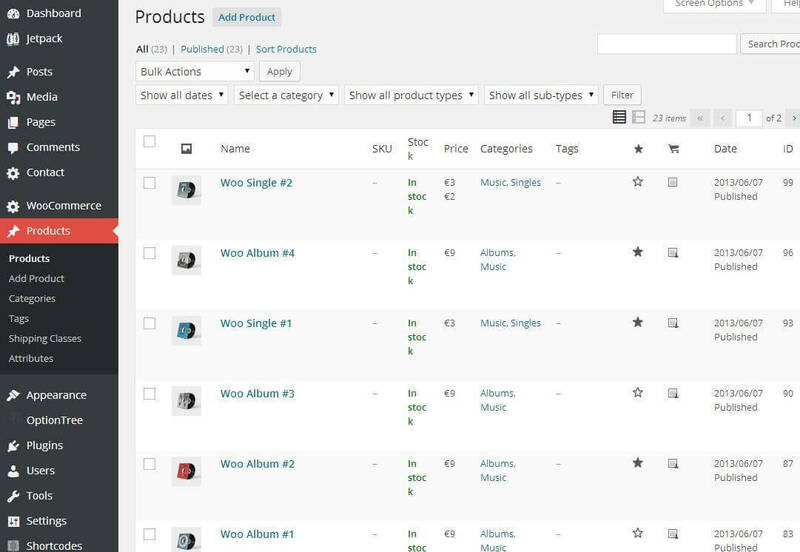 Most of our themes come with our own demo products for the WooCommerce store and will be imported automatically when you import the demo content using our industry-leading One Click Demo Import plugin. You need to make sure that WooCommerce is activated at the time that you import the demo data. However, you can (optionally) install the additional demo products by WooCommerce. Go to Tools » Import » WordPress and import the demo XML file which can be found in the folder where WooCommerce was installed on your server. Usually this is in wp-content/plugins/woocommerce/dummy-data/dummy-data.xml. Also check the Download and import file attachments checkbox, so that all product images will be downloaded as well. If you want to feature certain products, you can do so by clicking a star symbol in the table seen above. When you are done with the settings, go to Appearance » Widgets. 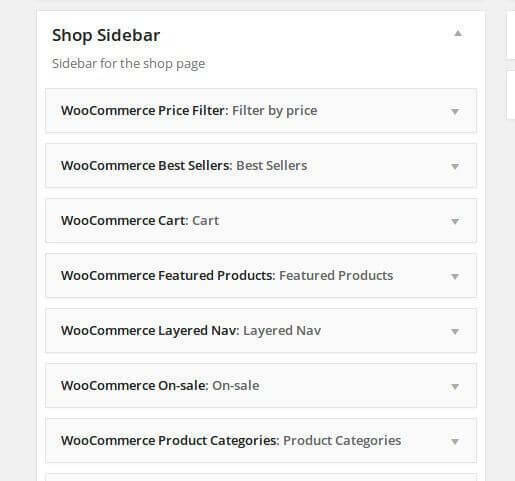 Drag & Drop the WooCommerce widgets that start with "WooCommerce" to the sidebar called Shop Sidebar. That's all, your WooCommerce shop is now ready! Visual Composer: Page Builder for WordPress is supported for this theme. (Note: We do not bundle this plugin with the theme). Please watch our video on How to setup Visual Composer as the main page editor, replacing our default page editor: Page Builder by SiteOrigin. We have converted our widgets to the Visual Composer content elements, so you can use them in the VC editor. You can add them to your site from the Add new Element menu. Our elements are marked with our ProteusThemes icon, so they are easy to spot. 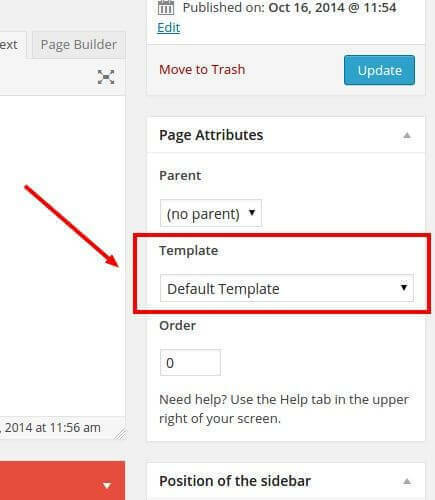 Create a new page and set the page template to Front Page with Slider and set the slider images below the editor. Some of our Visual Composer elements are nested elements. That means that once you select the element you will have to add its child element in order to achieve the desired result. Let's take Social Icons as an example of the nested element. When you select the Social Icons element in the VC editor a window will pop up with just a simple option to open links in a new tab and a "container" will be displayed in the editor. Now you have to click the + icon and add a Social Icon element, edit its settings (that will actually add a social icon to the page). With this method you can add as many social Icons as you want. And that's why we use nested elements. 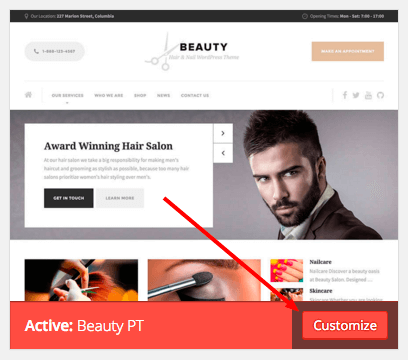 In our Beauty theme we are using the Tabs widget for Page Builder plugin, which allows us to create advanced tabs with Page Builder by SiteOrigin editor. The Tabs Visual Composer element is not as flexible and so we were not able to implement the design that we want. That's why there are no tabs in the Visual Composer version of our home page template. The breadcrumbs in this theme are powered by the Breadcrumbs NavXT plugin. All the settings for breadcrumbs can be found in Settings » Breadcrumbs NavXT. When you first access this settings page, there might be a notice, which has a link Migrate now at the end, just click it and it will take you to the correct settings page. Here you can define a separator (which should be empty by default for our themes), breadcrumb hierarchies for different pages (pages, custom post types, taxonomy, ...) and set other breadcrumbs related things. Let's take a look at how to setup the default breadcrumbs used on this theme for the Products custom post type. Go to Settings » Breadcrumbs NavXT and click on the Post Types tab. Scroll down to the Product section, and set the Product Root Page to Shop page and since we set the root page, we can also disable (uncheck) the Product Archive Display checkbox. Don't forget to save the settings. Bookly is a great easy-to-use and easy-to-manage booking tool for service providers. Plugin supports wide range of services, provided by business and individuals service providers offering reservations through websites. 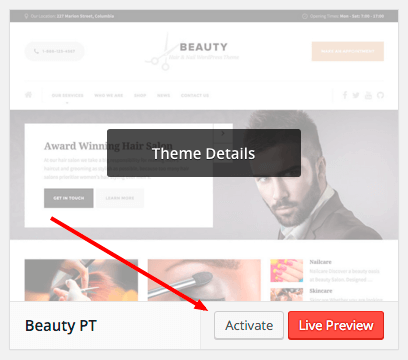 In Beauty theme we use free version of Bookly plugin but you can also buy premium version of plugin if you need more features. Footer Widgets is the place where you can add the last things to your page. You can add widgets in the Apperance » Widgets » Footer. There are also few options for that area in Appearance » Customize » Theme Options » Footer. You can changes different colors there. Middle Footer area is place for your additinoal information like social icons, supported credit cards, copyrights or some text. Custom text for left or right of middle footer can be added in live customizer Appearance » Customize » Theme Options » Footer. In that area you will also find Back to Top button which can be turned off in the same place in customizer. The Bottom Footer area is the place for copyrights or some custom text. Custom text for the left and right side of the bottom footer can be added in live customizer Appearance » Customize » Theme Options » Footer. We have an article with the video on how to translate our themes published on this link. After that the WPML wizard will guide you to properly configure the multilingual site. For reference: the widgets and theme options can only be translated using the String Translation. All images used in Beauty WP can be found on Shutterstock. 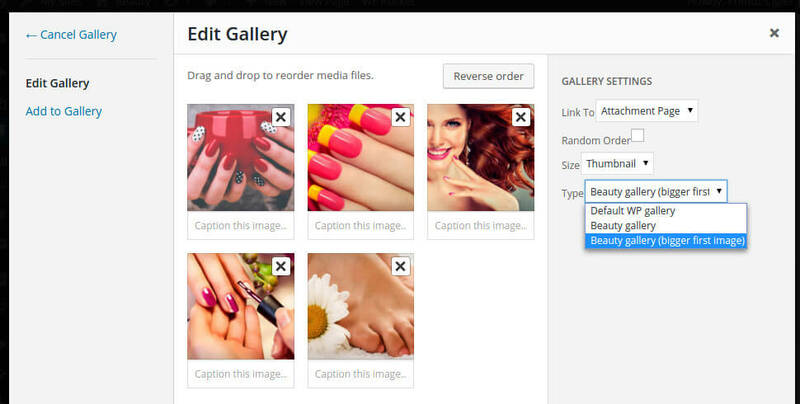 All the images shown in the demo page of Beauty WP are copyrighted and come blurry with the theme (demo content). If you need advanced customizations on the theme, we are available for that as well. Let us know what'd you'd like to change via support ticket and we will get back to you with a quote. View the Beauty WP changelog. If you need more help after all, you can write to us.